Posted by Managed WordPress Migration User in The holiday season 23 December 2017. As the holiday season is upon us, we find ourselves reflecting on the past year and those who have helped to shape our business. It’s been quite a year for us all! We hope that it has been just as memorable for you and we wish you all the best in 2018! We look forward to working with you in the year to come! 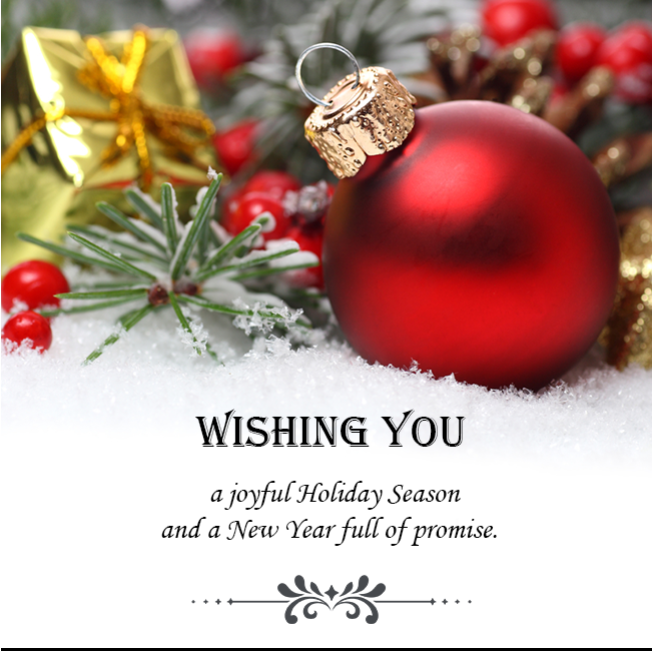 WARM HOLIDAY WISHES! Please see Facebook post.